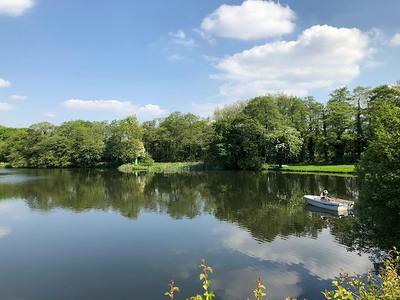 Barnt Green Fishing Club is situated close to the Lickey Hills on the edge of the South Birmingham boundary. It is a long established club formed in 1888. The club provides fly fishing in private gated waters, the object being to provide high quality trout fishing in attractive and peaceful surroundings. The fishing is managed by a committee drawn from the full membership and employs a full time keeper. There are three trout waters. The largest is Lower Bittell Reservoir, a water of 23 acres with both bank and boat fishing. Four boats are provided free for the members. The second water is Mill Shrub, 4 acres in size with ample bank fishing and one boat provided. Both these waters are within a site designated as a site of special scientific interest (SSSI). The third water is a spring fed pool of one acre providing bank fishing for quality trout.